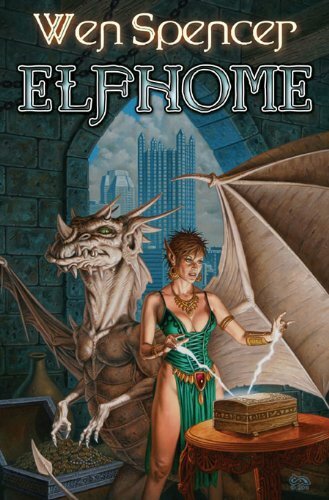 The Elfhome series by Wen Spencer is made up of five enormously engaging books. A sixth is in the works. In a fictional multiverse in 2002 a Chinese space station activated a hyperphase gate to send the first of several colony starships to a star system with a compatible biosphere. But as a side effect it also sent a 50-mile circle of west Pennsylvania to a mirror planet in a parallel universe where magic works. It includes most of Pittsburgh and the area 40 miles south of it. The books take place in 2031 and so far span the summer and part of autumn. One of the major players is an 18-year old scientific and engineering genius known as “Tinker” because that’s what she does: tinker. In the process she’s invented wheel-less motorbikes which hover a few feet off the ground – and in later books a ground-based hyperphase gate. 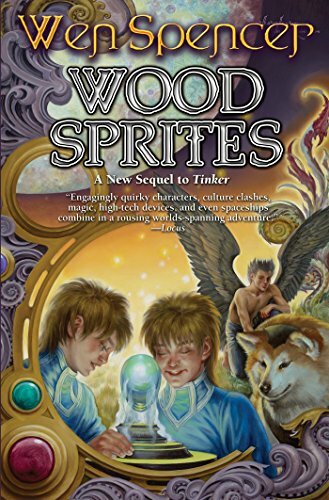 The first book Tinker begins when she rescues the 200-something-year-old Windwolf from magical enemies. Later they fall in love, marry, and he transforms her into an elf. It turns out that there’s a secret war on. The enemy is the oni from a third parallel planet, a form of human just as the elves are but with a more demonic nature. 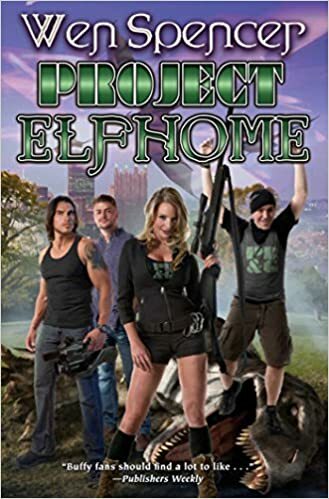 With an unchecked desire to breed they want to expand into Elfhome. 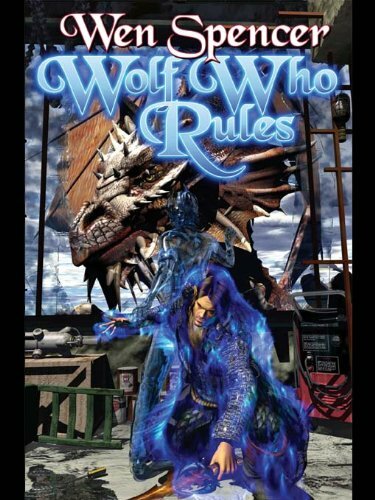 In 2031 with their attack on the American mirror-continent leader, Windwolf, their covert war to invade Elfhome becomes overt. Caught up in the events are several other sympathetic viewpoint characters. 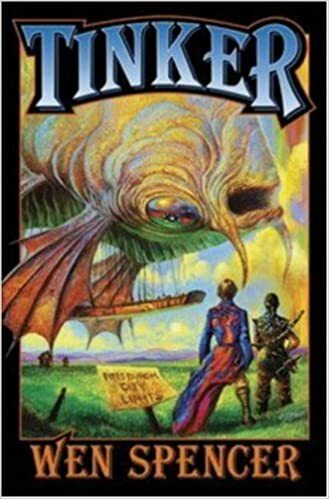 Through Tinker, Windwolf, and them Spencer drops clues and short explanations which build up a fascinating multi-millenial history without bogging down the action. Click on the cover images to read the first few chapters of each book and to buy them.